As the ongoing debate about which QB, Marcus Mariota or Jameis Winston, should be taken first in the NFL draft rages on, experts are noting that Mariota is making a stronger and stronger case to overtake Winston. 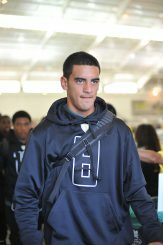 The initial sentiments toward Mariota were that he was a system QB who would crumble in the NFL once he had to operate outside Oregon’s offense, but now those views have changed. 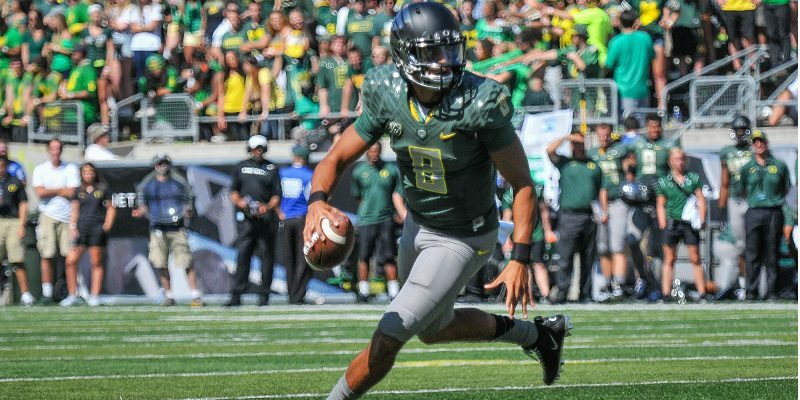 Mariota’s Wonderlic score of 33 boosts the QB’s draft stock higher. Many experts appreciate that Mariota ran Oregon’s offense at an unprecedented level of success, something worth noting in his overall draft evaluation. That, along with his NFL size and capable physical traits make Mariota quite the tantalizing prospect. A final evaluation though, the annual Wonderlic test, gave scouts just one more reason to love the Hawaiian stud. Both Winston and Mariota completed the Wonderlic, a 50 point test that measures a player’s cognitive skill. According to ESPN, Mariota scored a 33 and Winston a 27. A score of 20 is thought to be average, so needless to say both QBs performed admirably. Although, Mariota’s score of 33 is especially impressive, and ranks among some of the NFL’s top QBs now. In fact, Mariota’s score would tie Tom Brady‘s mark, and fall just short of Aaron Rodgers‘ 35. Although the Wonderlic isn’t thought to be a crucial factor in the draft process, it’s certainly taken into consideration. Vince Young, for example, performed terribly on the Wonderlic (6 out of 50) but was still taken third in the 2006 NFL Draft. The only perfect score in the Wonderlic’s history was set by former Bengals‘ punter Pat McInally.